Think You Need a Mobile App? Think you need to hire a mobile app developer? It all depends on your business objectives. Talk with our mobile app developers at Martinez Creative Group. ROCKFON, an international company based in Chicago, builds and manufactures high end ceiling and suspension systems. 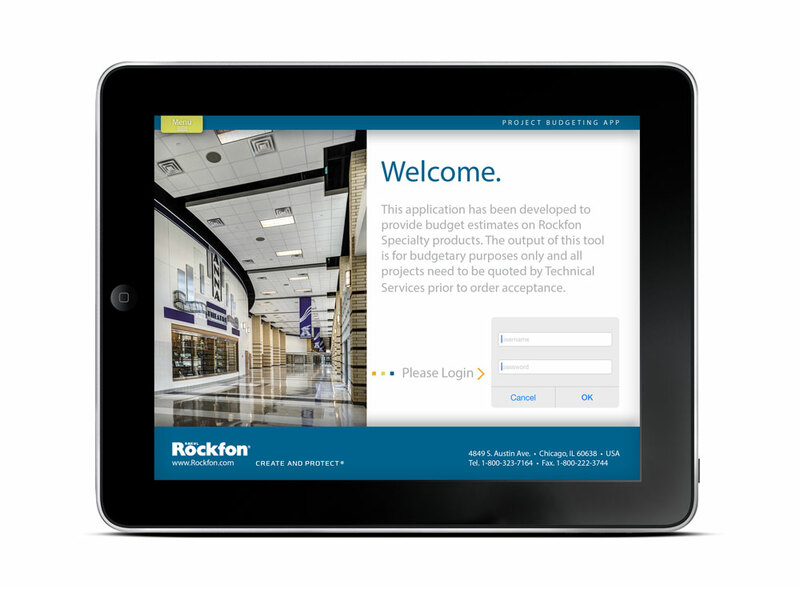 ROCKFON came to us looking to build a custom mobile app for iPad – something that their sales team could use to estimate large-scale projects. It was critical to have a project estimator that was accurate; being off by a single digit could make for a very big mistake. The first question we always ask when developing a project is: what are your business objectives? Their sales team was being outfitted with iPads, so they assumed they needed a native iOS app. 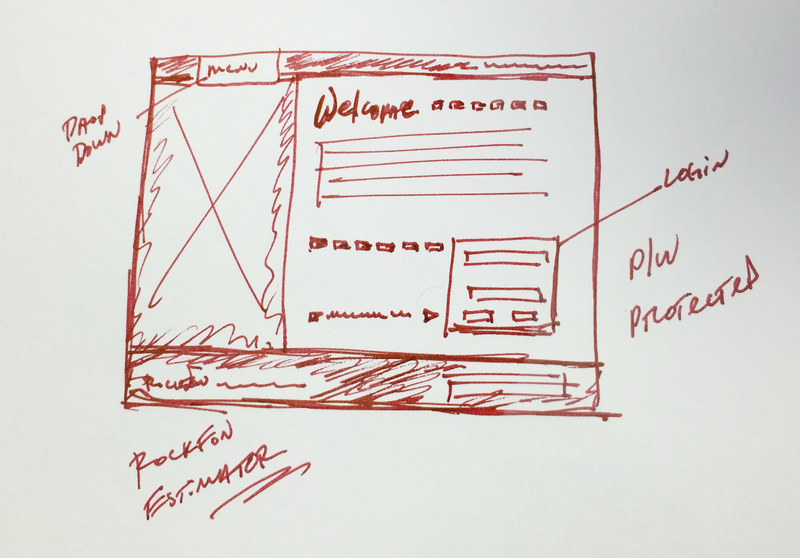 After many discussions about how the tool would be used, we determined that we should build the project as a web application, accessible from desktop and any mobile device – but optimized for iPad. 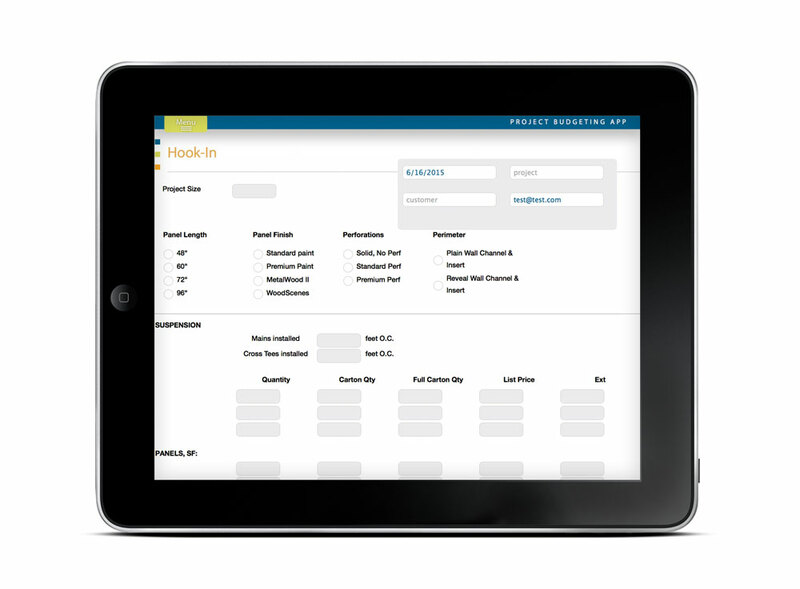 As the ROCKFON estimator app is a web-based application, it can be viewed and used from desktop, phone, or tablet. When apps are in development we test on all environments, as all digital environments act differently to ensure the same seamless experience across all platforms. The client and all of their beta testers were thrilled with the look, feel, and functionality of the app. The client also requested that we host the project, since using the same development and hosting team allows for greater integration between frontend and backend changes. Best of all: their team loved how intuitive the tool is, especially with being able to conveniently generate and email a PDF directly from the web app – saving them frustration and a lot of time. Determining whether you need a mobile app, a mobile-friendly website, or a web-based solution all depends on your business objectives. What are you trying to accomplish? How will the app or site be used? What are your Google Analytics telling you? Many conversations need to take place before we even set pen to paper and start wire framing. Are you thinking of a native app or web-based solution for your business? Call us today to start your own Q&A.